Whoa, I love the way this card turned out. It was very hard to part with it, but I guess I can always make another one! I love the Elegant Soiree DSP so very much–this pattern especially. This is another Gate Fold card (see this post for measurements) using the Word Play stamp set. 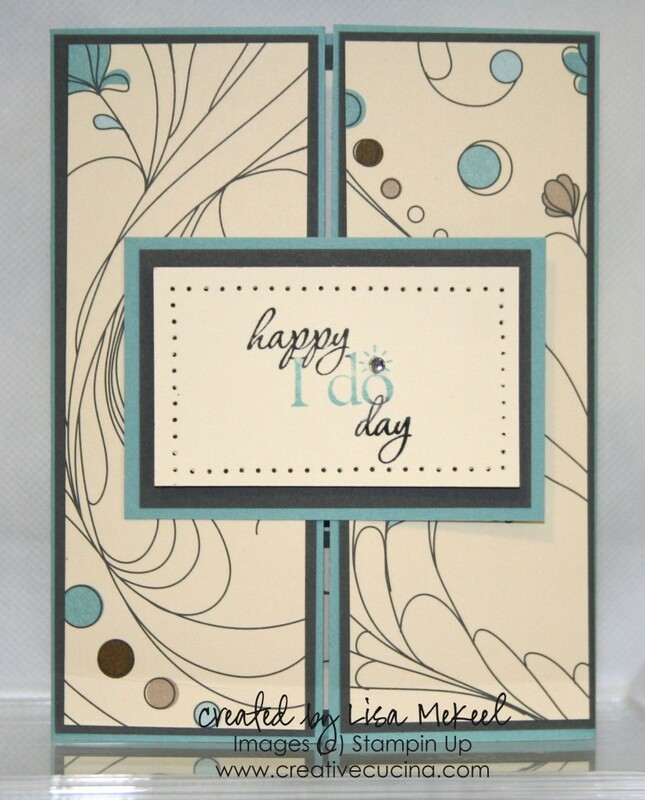 I especially love the “happy I do day” sentiment, which I colored with Baja Breeze and Basic Black marker. That was stamped on Very Vanilla card stock and I added a Basic Rhinestone accent to the diamond ring. 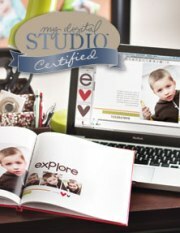 The very vanilla was paper pierced before being layered with Basic Gray and Baja Breeze card stock. 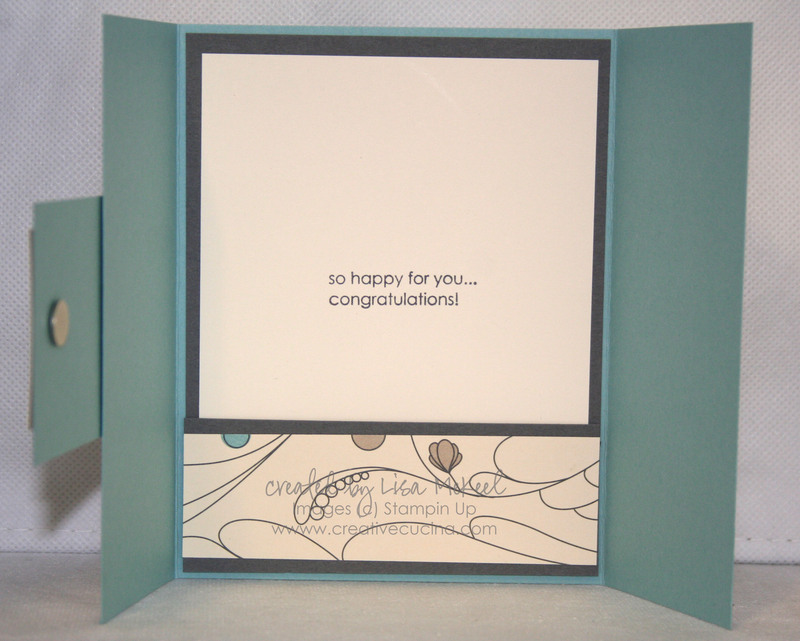 The card base is Baja Breeze, and the front panels are layered with Basic Gray and Elegant Soiree DSP. After adhering paper to the front panels, I attached the stamped portion to the left panel using a small amount of Sticky Strip. On the other side, I used a small magnetic closure. Inside, I layered Very Vanilla on Basic Gray card stock and adhered it to the base. The sentiment is from Goody Goody Gumdrops. Across the bottom, I used some scraps to make a pocket. I put mini glue dots along the bottom and sides, keeping the top open for a gift card, money, etc.